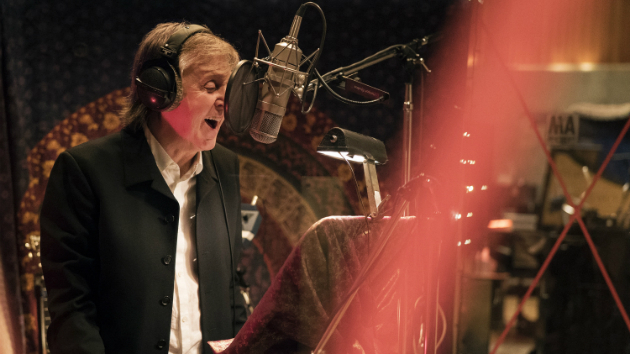 Paul McCartney may not be content to Let It Be. The singer says that the Beatles documentary of the same name — released in 1970 and focusing on the miserable process of the band members trying to stay together long enough to release what ended up being their last album — “may be[come]…a new movie, re-edit[ed] from the same period, from the same footage.”In an interview with Canada’s Radio X, Macca says that there’s “about 56 hours of [unleased] footage. [And] the overall feeling is very joyous and very uplifting.”That would be a stark contrast to the strained feeling of much of the existing Let It Be film, which hasn’t been available in any format since the ’80s. It was supposed to have been released in DVD a decade ago, but a source at Apple Records told Britain’s Daily Express that McCartney and Ringo Starr killed the plan because of the downbeat nature of the film.But Paul’s opinion of the film seems to have changed — the discovery of the footage of “a bunch of guys making music and enjoying it” leads to him predict, “I think it’s gonna happen. I think there may be a new version of it….Who knows, that may be happening in a year or two.”Here are McCartney’s remaining North American shows of 2018:9/28 — Winnipeg, MB, Canada, Bell MTS Place9/30 — Edmonton, AB, Canada, Rogers Place10/5 — Austin, TX, Austin City Limits Music Festival10/12 — Austin, TX, Austin City Limits Music FestivalCopyright © 2018, ABC Radio. All rights reserved.